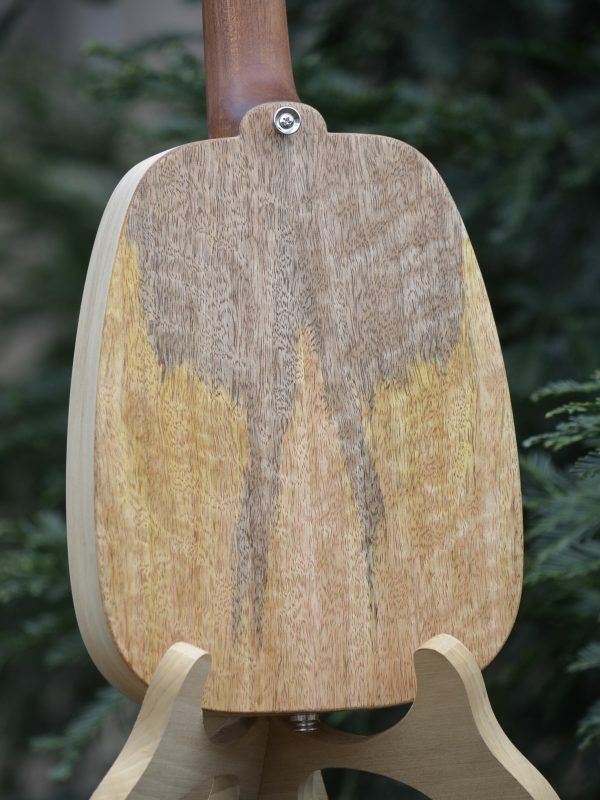 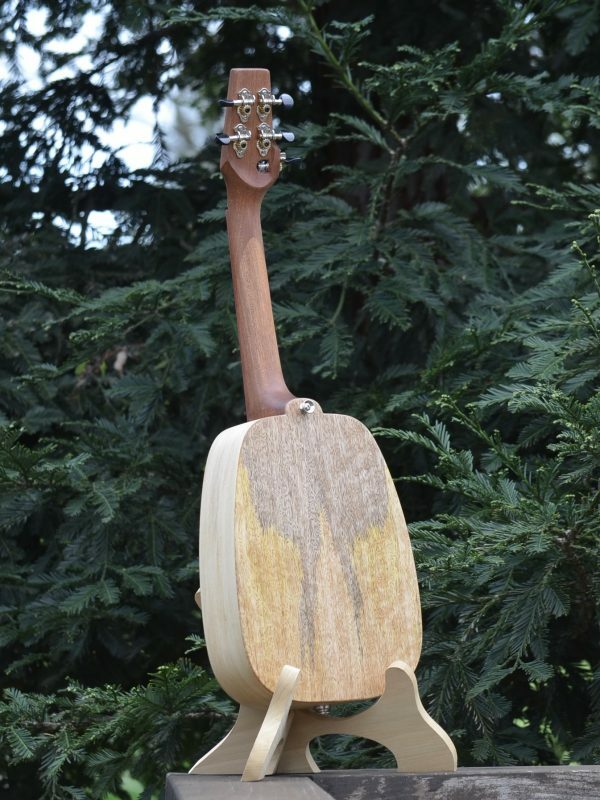 “Swallow Tail” gets her name from her spalted Mango back. 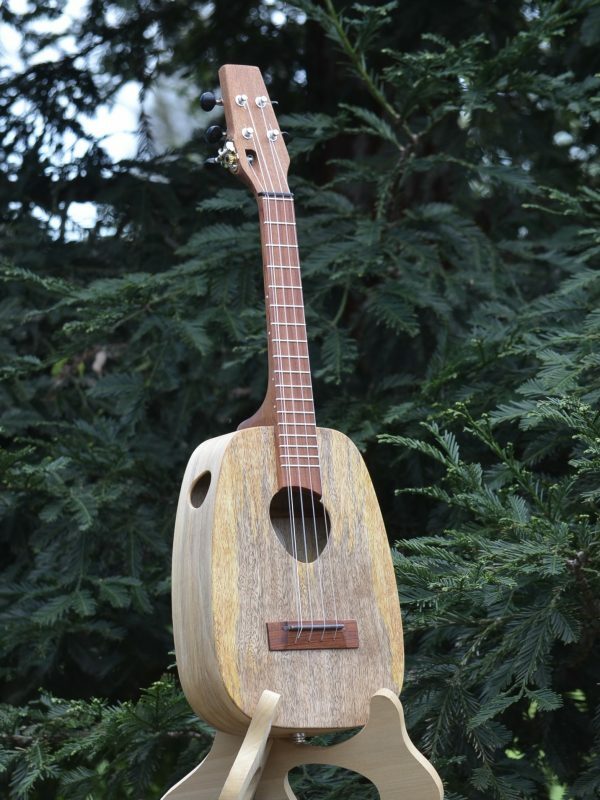 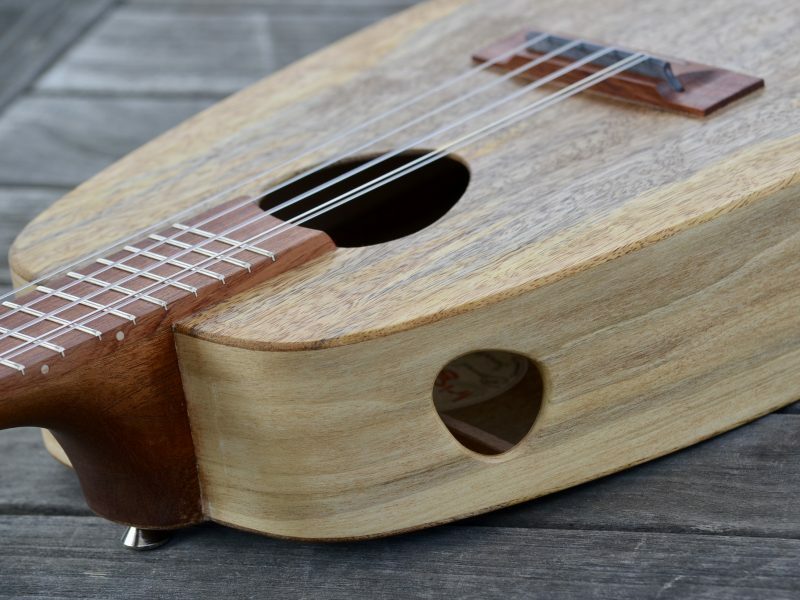 Ukulele Swallow Tail is a 5-string, IDeale™ Keystone. 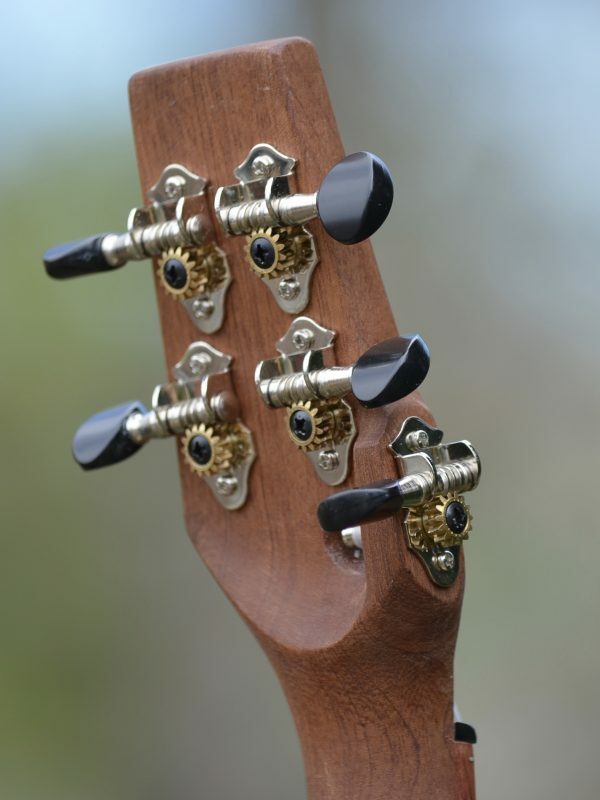 She has an IDeale-size body with an IDeale 16″-scale neck. 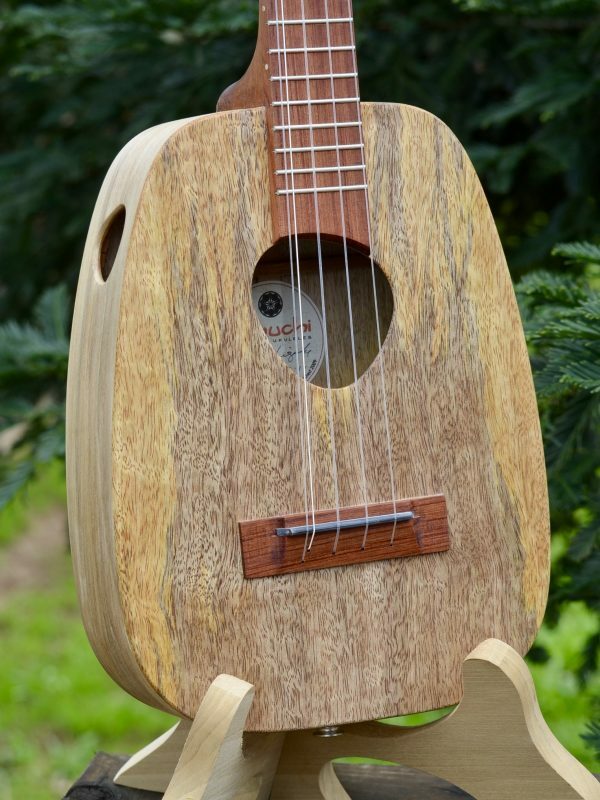 She has our signature wobbly sound hole and side port as well as our interlocking ladder bracing. 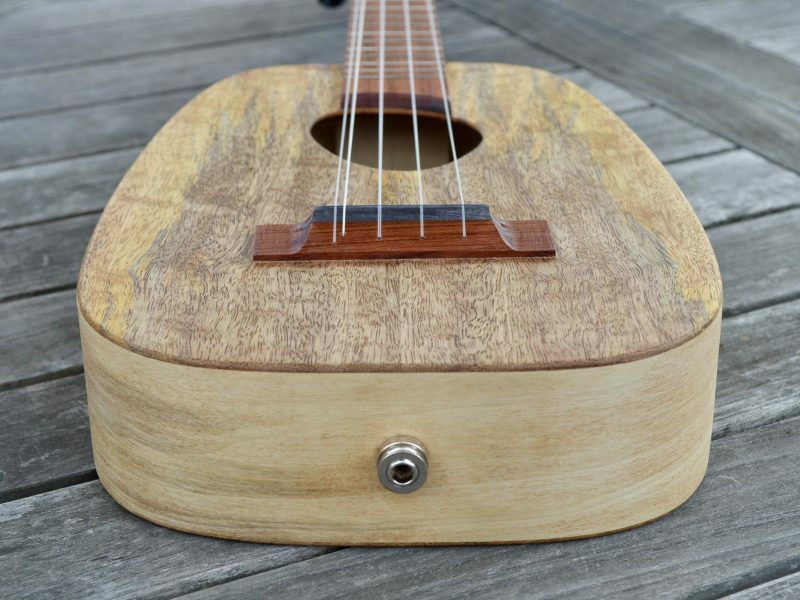 Her Mango soundboard and back give her a nice bright tone with excellent sustain. 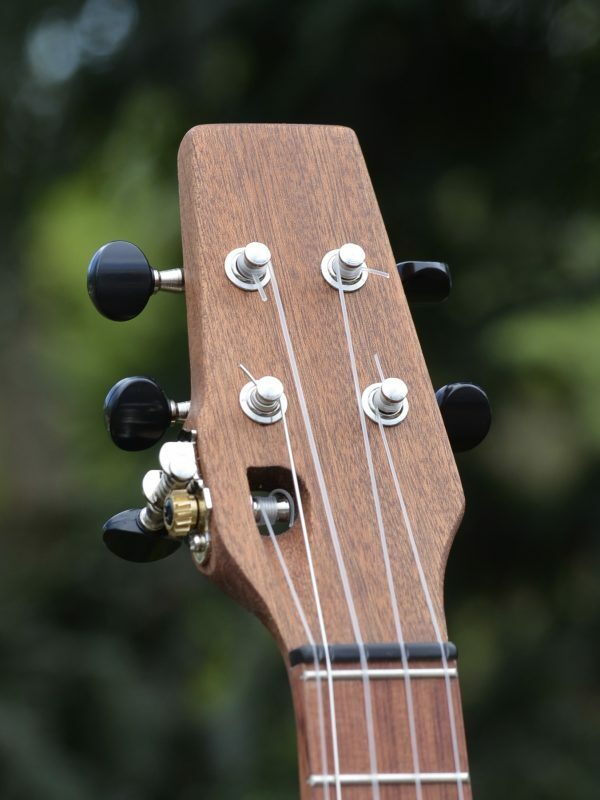 Other features include our carbon fibre-reinforced neck and new drilled-through bridge.